der-materialspezialist HELLCAT unites the efficiency of short pimples when blocking or attacking with the disruptional effect of long pimples when playing disruptional or defensive strokes. When playing defense away from the table HELLCAT enables safe strokes with entirely unpredictable changes in spin.The ball trajectory is devilishly low hereby transferring the spin tremendously. HELLCAT is insensitive to spin and enables offensive strokes of a modern medium pimpled disruptional rubber. Offensive counter rallies are unpredictable for the opponent due to the extremely high disruptional effect. 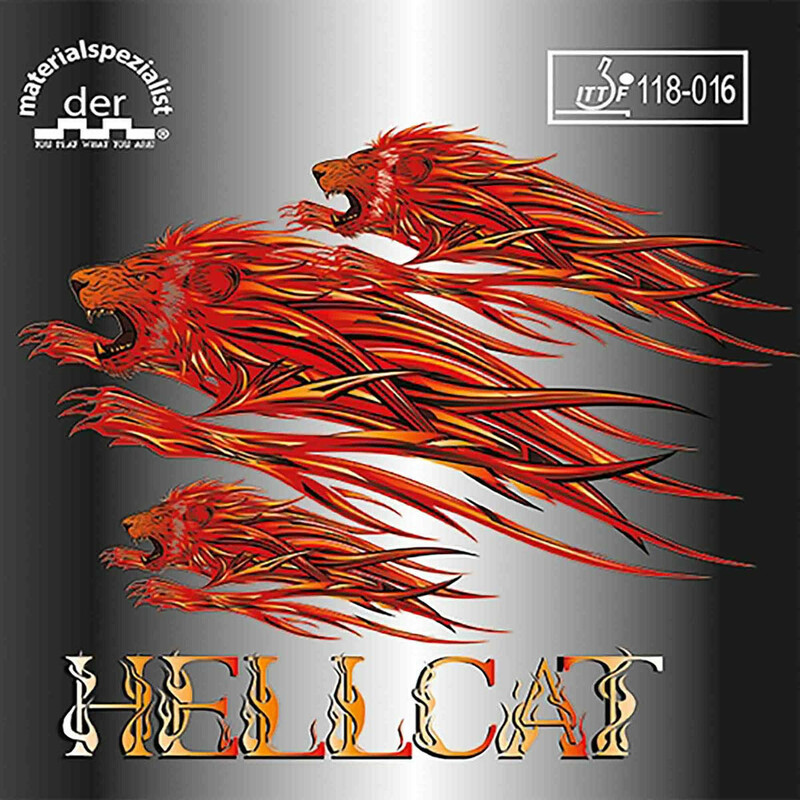 HELLCAT: Diabolical disruption combined with best control values. 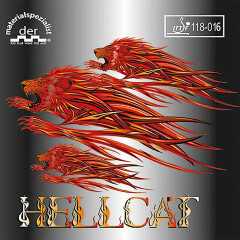 Der Materialspezialist Rubber Hellcat is beeing added to cart.